Since 1959, the Cooper Square Committee has been fighting the displacement of low income people from the Lower East Side by preventing evictions, counseling tenants about their rights, developing and preserving affordable housing on formerly city-owned land, facilitating the transfer of city-owned buildings to community ownership, and advocating for appropriate development. The Cooper Square Committee is a 501(c)(3) nonprofit organization. All donations are tax-deductible to the fullest extent of the law. We have achieved many significant community victories on a modest budget, so please consider supporting our work through a contribution. Note: If you would like to make a contribution related to our Annual Gala, please use the links on the right-side of this page to make your payment. 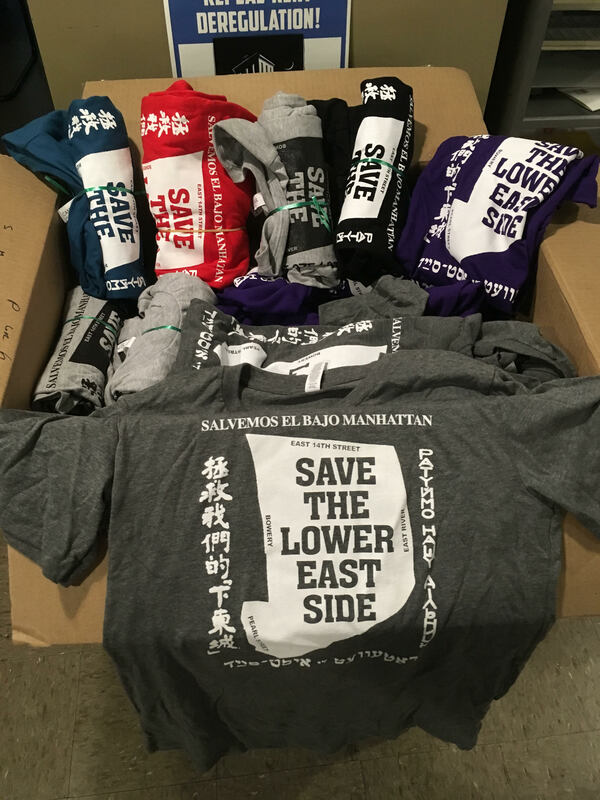 $20.00 — Become a member, and receive periodic emails about our community preservation work, a “Save the Lower East Side” t-shirt, and a 5-day pass to Crunch Gym. Set up a recurring payment to CSC: Showing your support can be hassle-free when you arrange monthly or yearly donations of any amount that are automatically deducted from your account. If you have further questions or need more information about membership, contact Steve Herrick (212) 228-8210 or click here to e-mail. 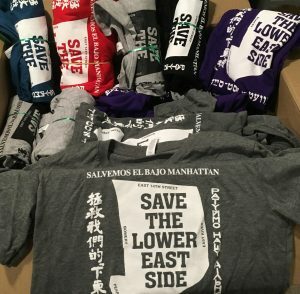 By investing in CSC’s future, you ensure that our work to preserve the economic, racial and cultural diversity of the Lower East Side and East Village for years to come. We welcome the opportunity to work with you and your advisors to develop a Planned Gift best suited to your needs. Please contact Steve Herrick at 212-228-8210; or click here to e-mail. All inquiries are held in the strictest confidence. Have you already included CSC in your estate planning? Please let us know. We would like to thank you for your generosity.